How Secure are Roller Garage Doors? Are roller garage doors secure? 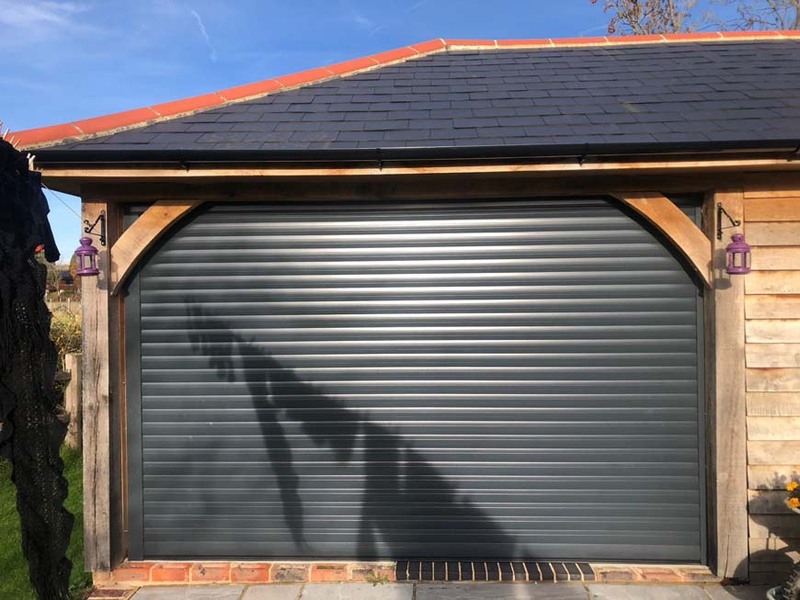 Over the years we have been asked many questions about our garage doors, one subject that crops up regularly is that of security. In our experience, our doors are highly secure this is due to several inbuilt safety features. Our doors are made using the best materials this includes the door profiles which are crafted from high-quality double layered aluminium slats. Many thefts in the united kingdom are acts of opportunism. Thieves by their very nature will look for any areas of weakness which they can exploit. By design, our doors have no visible locks or handle; this simple yet effective feature applies to all of our roller doors. No visible locks or handles means a potential thief sees no obvious entry points. In the past roller doors have been susceptible to forced attacks from below. However, all of the electric shutters we fit today feature a patented anti-lift locking system. The simple yet highly effective anti-lift protection will stop the door being forcibly opened from below. Should a determined thief manage to break through all Somfy control panels fitted by Top Choice Doors feature a 100db alarm. All of our roller doors feature extruded guide channels the extra material makes the guide channel less prone to attack. A potential thief is unable to use tools to attack the shutter curtain and force entry in this area of the door. Criminals are becoming more sophisticated this, in turn, means we need to keep up with times and employ modern solutions in the area of security. it is not unheard of for thieves to use code stealing technology to gain access to garage doors. With this in mind all of our Somfy remotes transmit a different signal each time they open the door meaning this type of attack is futile. We regularly install roller doors in Essex. Unfortunately, a common reason for the installation of a new garage door is the fact that our customer has been a victim of theft. 9 times out of 10 the door we remove will be an up and over garage door which is unfortunately prone to break-ins this is true mainly for the reasons stated in this post. Up and over doors will typically have the locks and handles visible this is like an open invitation to an opportunist thief. Often the door will be very flimsy and secured from one main central point meaning the door can be easily peeled back. Many people will have no type of alarm system fitted to their up, and over garage door, our doors have an obvious advantage as they come pre-packed with 100db alarm. The lack of any locks catches is often enough to deter a would-be thief in our experience electric roller doors always come out on top when compared with up and over doors. https://www.topchoicedoors.co.uk/wp-content/uploads/2018/12/TOP-CHOICE-LOGO-STANDARD.png 0 0 IPOGhPK25s https://www.topchoicedoors.co.uk/wp-content/uploads/2018/12/TOP-CHOICE-LOGO-STANDARD.png IPOGhPK25s2018-06-25 12:04:022018-12-14 15:07:32How Secure are Roller Garage Doors? The roller shutters we install are interconnected insulated strips of double layered aluminium. Roller shutters not only look great when installed they also act as a deterrent offering greater protection against would-be intruders. 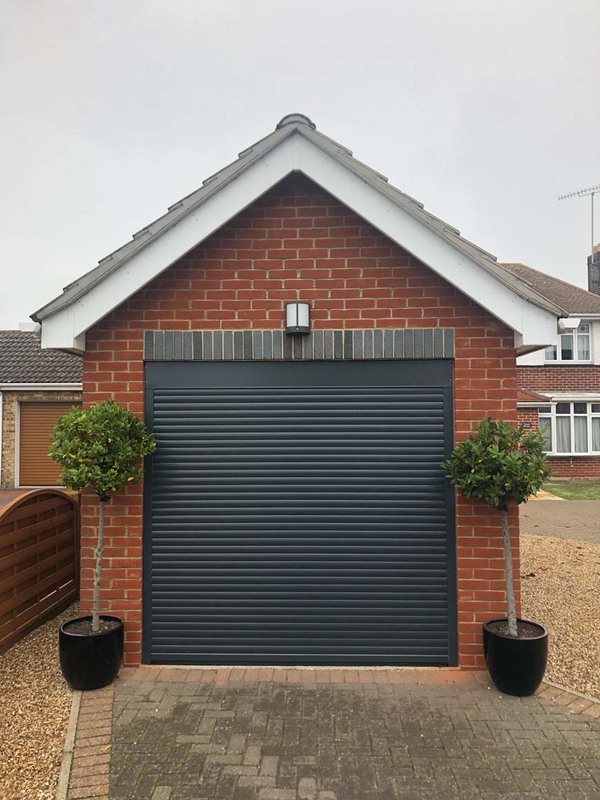 Roller shutters work by sliding or rolling up and down through tracks (these are also referred to as guide channels) when rolled up the slats fit into a small box above the door. Typically we will install the box inside the door this referred to as an internal face fix other fixes can be achieved however this is the most secure. When the shutters are rolled down, they fit firmly against the floor of your garage making them highly secure. To keep the rain out the bottom slat of our roller shutter doors feature a rubber wet seal. This is the surround of the roller door and houses all of the components. These are the hollow channels at the side of the door that allow the slats to roll up and down. The motor sits above the door and powers all of the moving parts of your roller shutters the engine features a safety break. 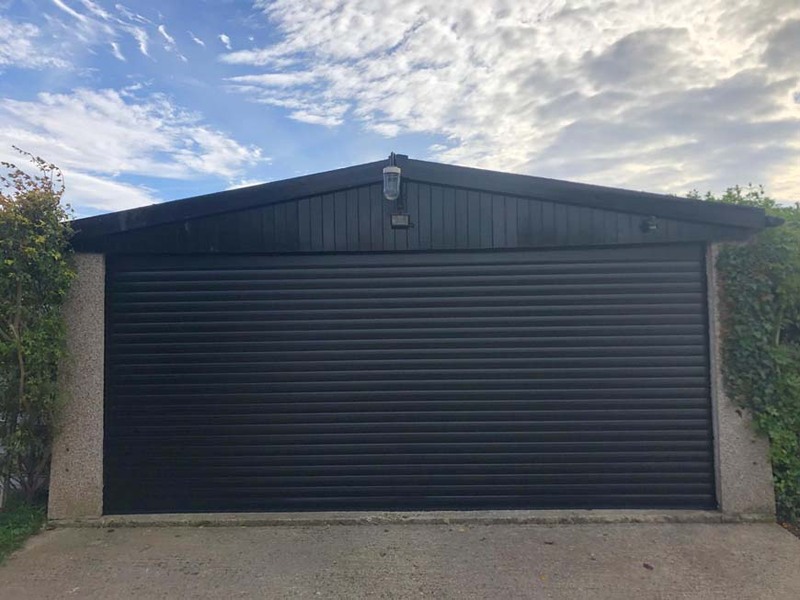 Roller shutters by Top Choice Doors are a simple yet effective garage door system that looks great when installed and provides improved security. Sometimes we receive a call from customer who believes their roller door is on the cusp of breaking down often the conversation will revolve around the fact that their roller door is sticking, and they are having a difficult job opening and shutting their roller doors. Typically all the door requires is lubricating as with all metal moving parts roller doors will become dry and the friction caused by the constant rolling up and down can cause the doors to stick. When lubricating your doors, it is important not to use your standard off the shelf favourites as more often than not thick lubricants will merely compound your problems as they serve to attract dirt which will ultimately lead to the door becoming worse than before you started. Standard WD 40 in this situation is 100% out! Specialised lubricants are 100% in they need to be high viscose either white lithium Grease or silicone based. Lithium based grease works extremely well with metal! in this situation it has the edge over standard oil-based lubricants due to the fact it is moisture resistant, performs well in high or low temperatures, and is also very effective when used in load-bearing situations. These qualities make lithium grease perfect for combating screeching roller doors. Take a look at this Wikipedia entry for more info. When applying the lubricant, it is important not to use too much don’t be tempted to soak your doors a fine spray is very much the way to go as soaking the area could again lead to additional problems. It is vitally important that you only apply the lubricant to the garage door guide rails, as with all activities adequate preparation is essential, make sure to clean the guide rails and surrounding area thoroughly before applying the lubricant. Use a lithium or silicone based lubricant. Clean the area prior to application. Only apply to the doors guide rails.